Exceptionally small and lightweight, the Blade Nano QX is suitable for indoor use. 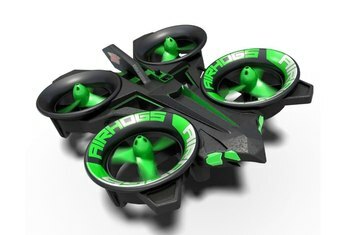 The Nano QX's two flight modes--Stable and Agile--will appeal to both novice and advancing radio-controlled aircraft pilots. Most reviewers found the unit responsive. Blade gives buyers the option of a model with a basic control unit or a model with no control unit for those who want to use controllers they already own. Because it's so tiny, the Nano QX isn't a good choice for outdoor use. The Nano QX is a bit pricey for its size and category. 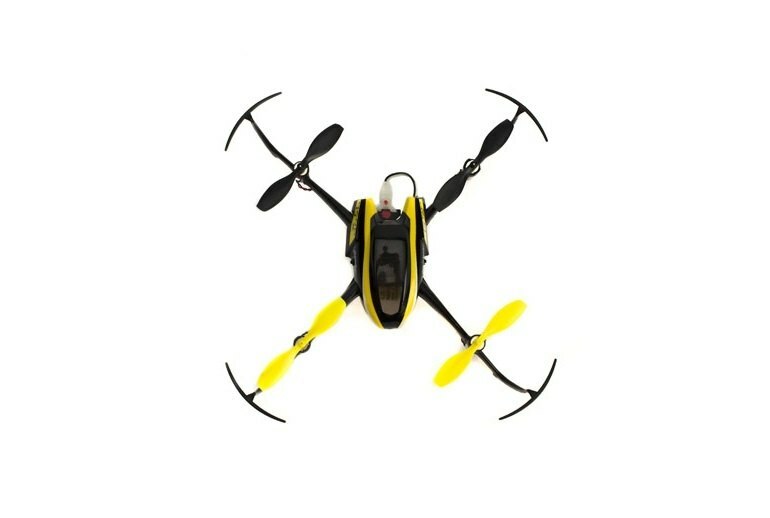 Flying time with the provided battery is on the skimpy side at 7 or 8 minutes. 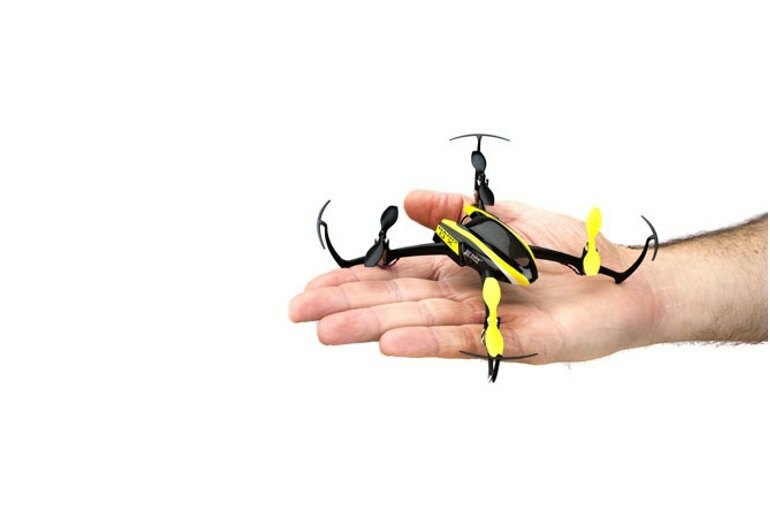 The Blade Nano QX is a palm-sized radio-controlled quadcopter that caters to pilots of all abilities with two flight modes. In Stability mode, the Nano QX uses SAFE (sensor-assisted flight envelope) auto-correction technology to remain upright. In Agility mode, advanced pilots can engage in aerobatic maneuvers. Blade sells two versions of the Nano QX: The RTF (ready to fly) version comes with its own radio controller, and the BNF (for Bind 'n Fly) does not, allowing pilots to pair the unit with their own controllers. Thanks to its tough construction and neat design, the Nano QX isn't likely to break things or itself when it crashes. 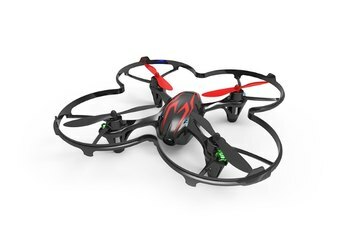 The Nano QX is a great pick for the first-time drone flier who wants to get a feel for the complex process of flying a quadcopter. 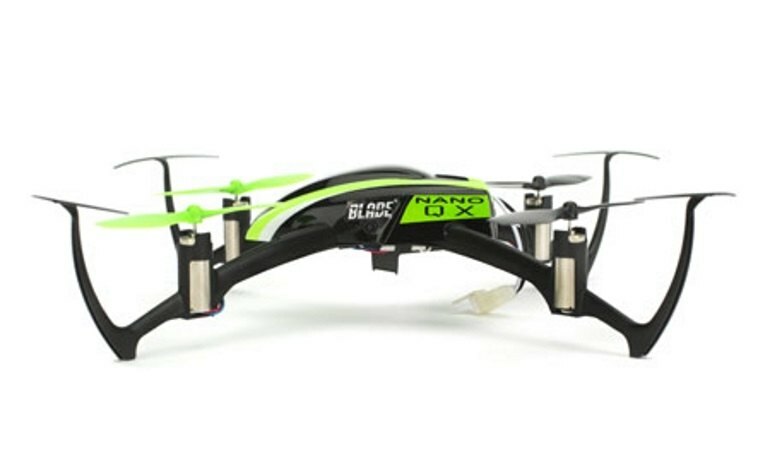 The Blade Nano QX BNF micro quadcopter is a great quadcopter with an array of features set to satisfy both quadcopter enthusiasts, veterans, and beginners. 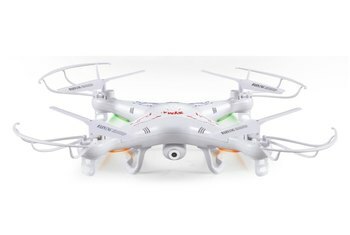 It also has an advanced feature that means it will also be great for you as you gain more skills as a quadcopter pilot. I have learned that the learning curve to becoming adept at skillfully piloting one of these is a bit steeper than I thought. Additionally, this thing is able to handle a fair amount of mistakes and abuse with no or very little damage. 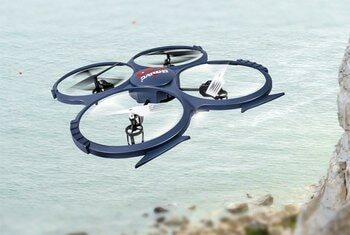 Perhaps most importantly, unlike the larger drones, this can be flown practically anywhere which makes it super convenient. 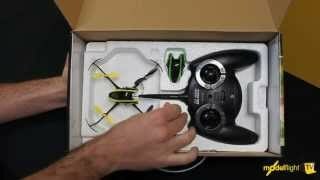 The Blade Nano is the best quadcopter out there in terms of performance, durability and being a well balanced micro quad. 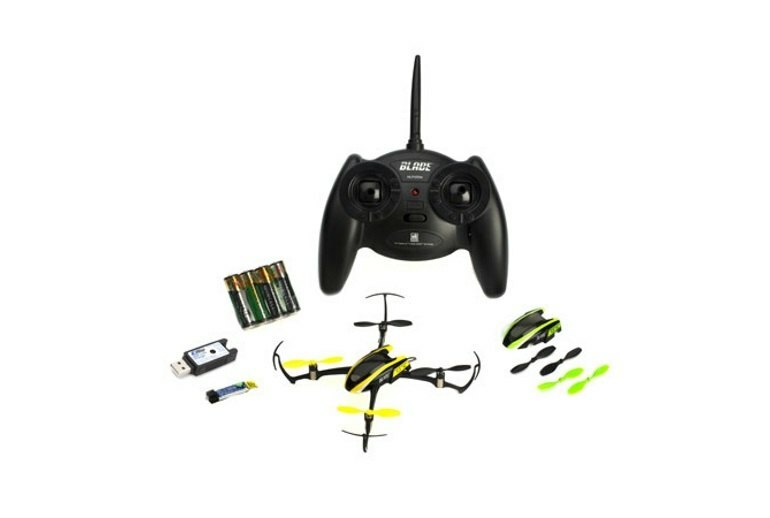 It flies very stable like a much bigger quadcopter would and gives you all of the benefits of getting very familiar with the controls without all of the expensive crashes. 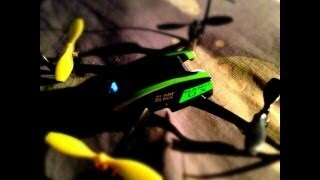 The Blade Nano QX is my new go-to indoor quadcopter. It’s not only a lot of fun to fly when you just can’t get to the park or the weather is nasty, it’ll sharpen your piloting skills for perhaps that next upscale quad you’ve had your eye on all year. Weighing it at only 16 grams this quadcopter is so lightweight that it doesn’t gain a lot of speed when falling out of the sky. In any emergency situation the pilot can simply drop throttle all the way and let the quad lightly crash into the ground.